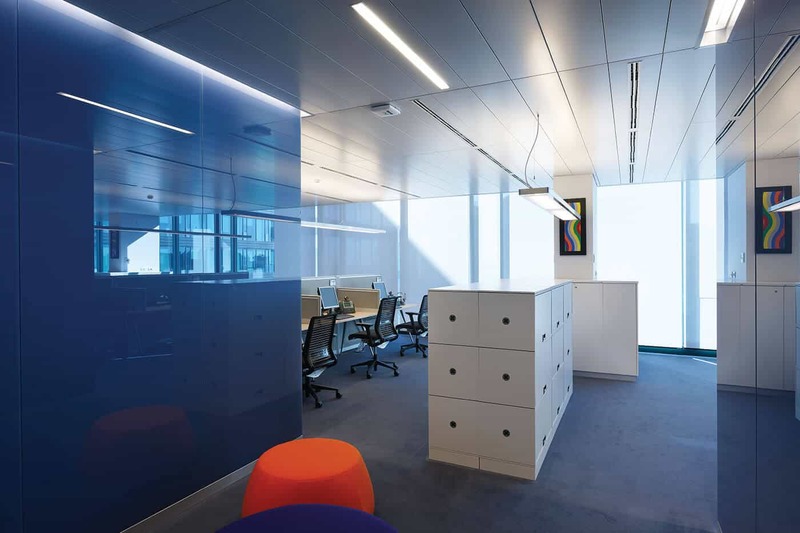 The new Cisco headquarters, inside the Torri Bianche administrative center in Vimercate, is in an existing 7-storey building of 5,000 sqm. 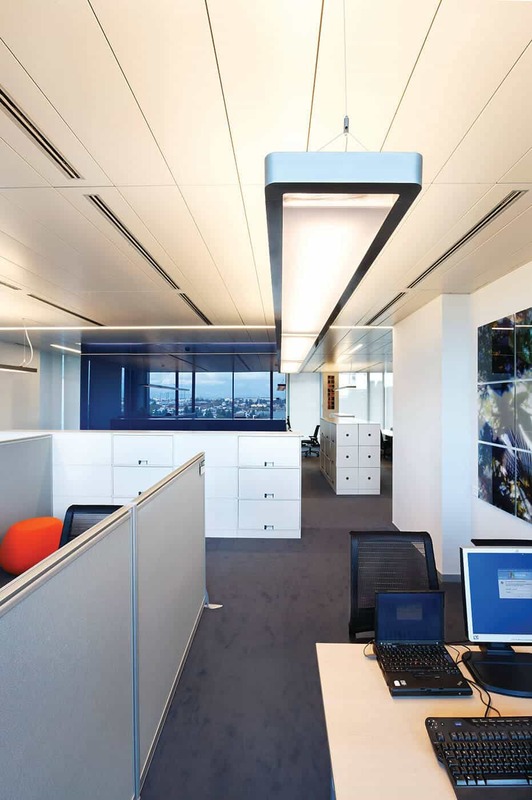 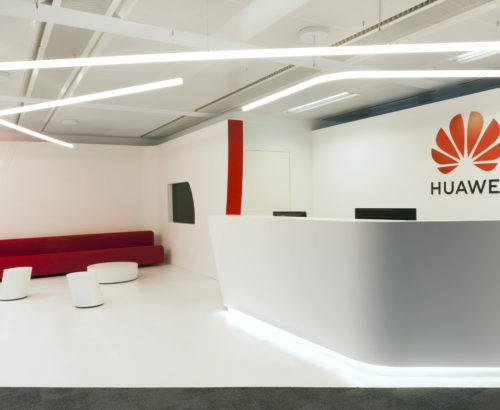 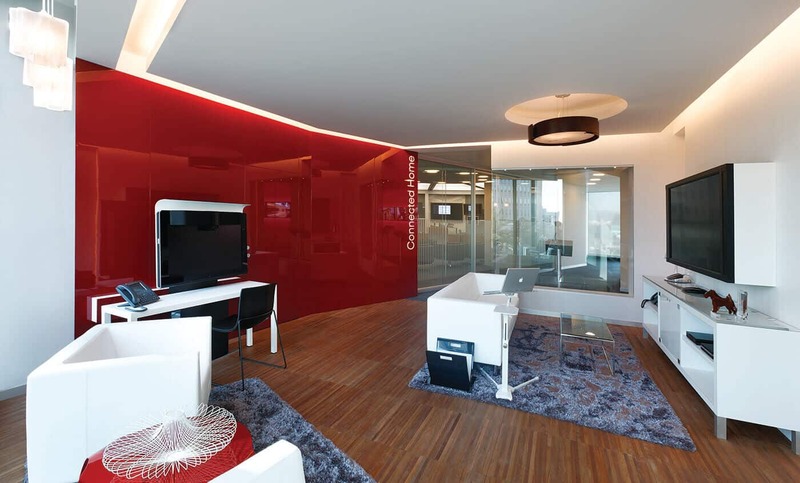 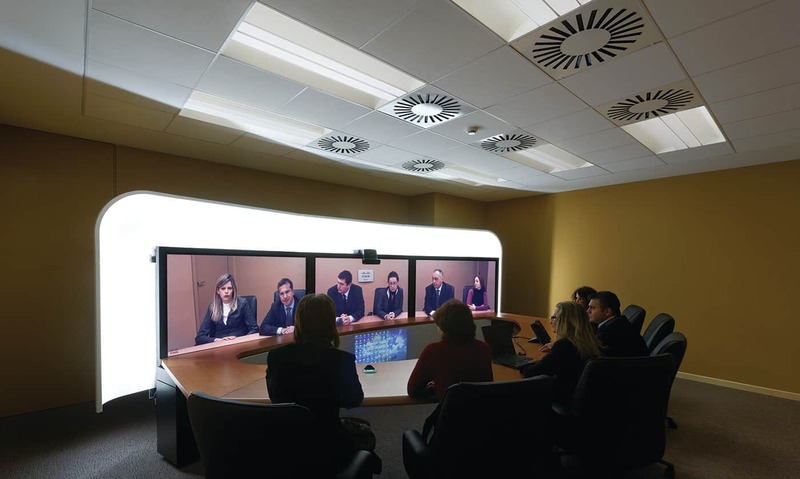 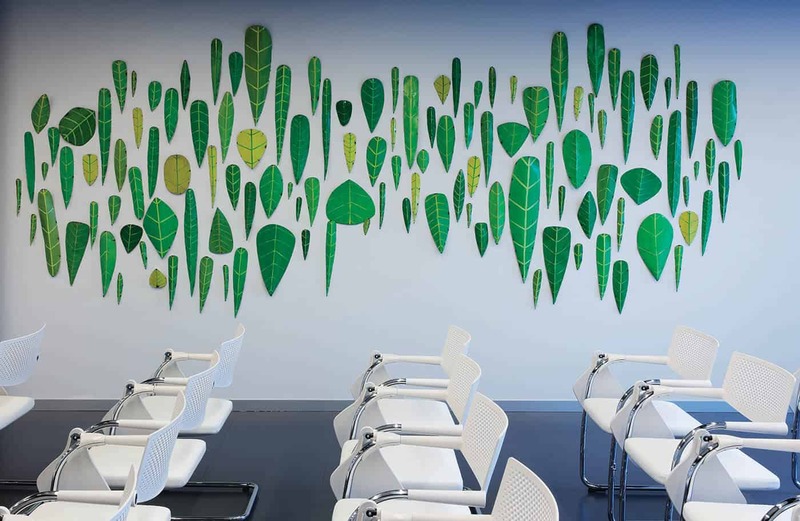 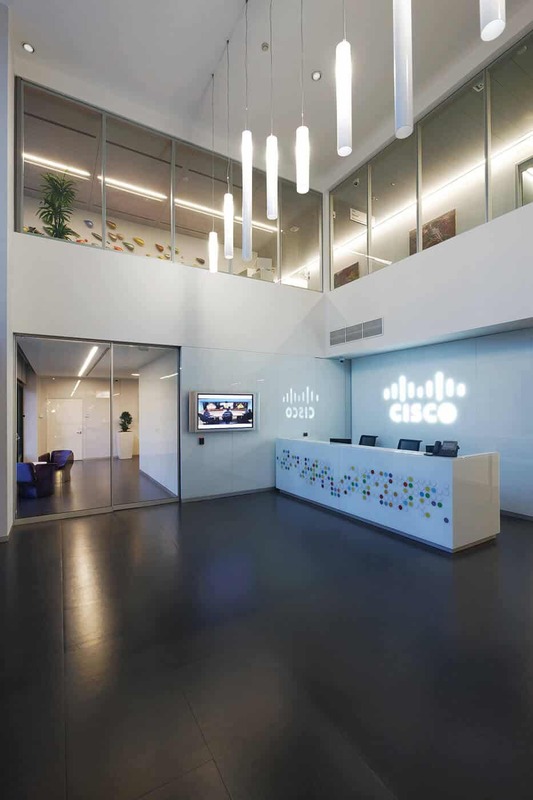 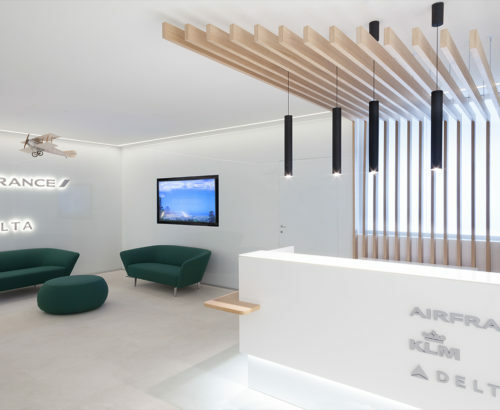 One of the main objectives of the project for completing its interiors was to create a well-defined visual identity to increase the Cisco company’s visibility and help people understand its qualities and the services that it offers. 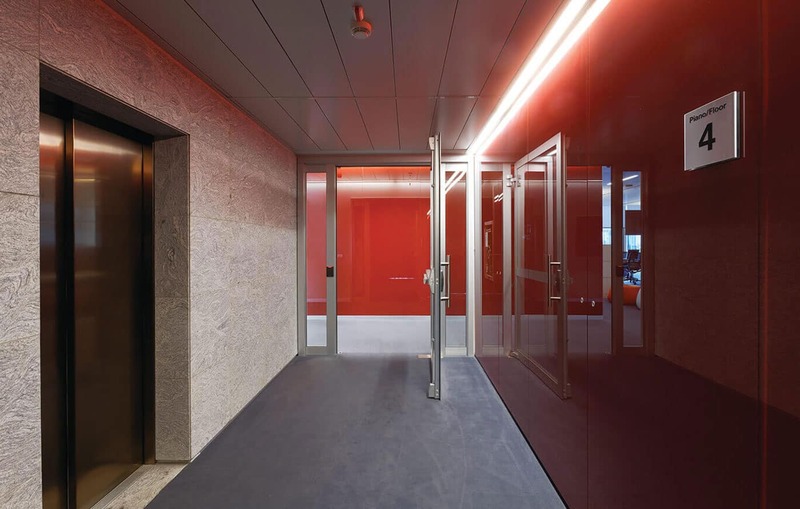 Though the building’s structure could not be touched, the interior design is nonetheless strong, making itself apparetnt from the outside too. 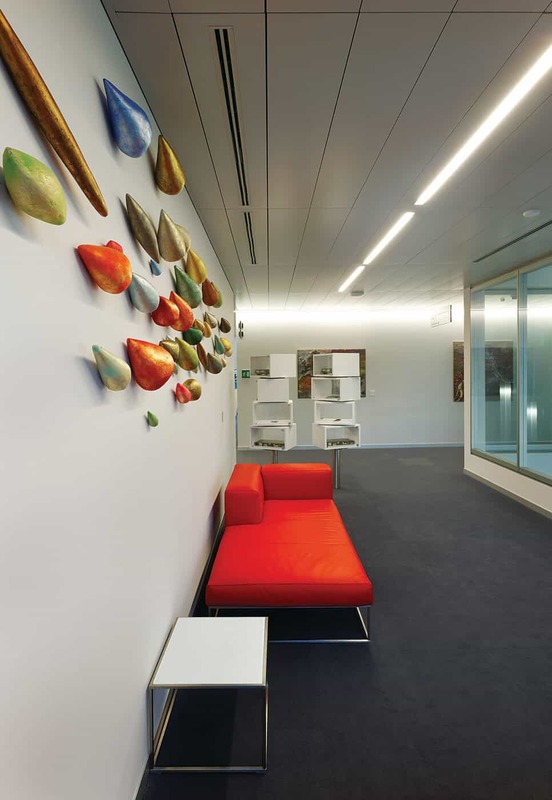 There are divesified work situations with both open spaces and closed spaces, punctuated by soft areas with a homey feel, suited to informal meetings. 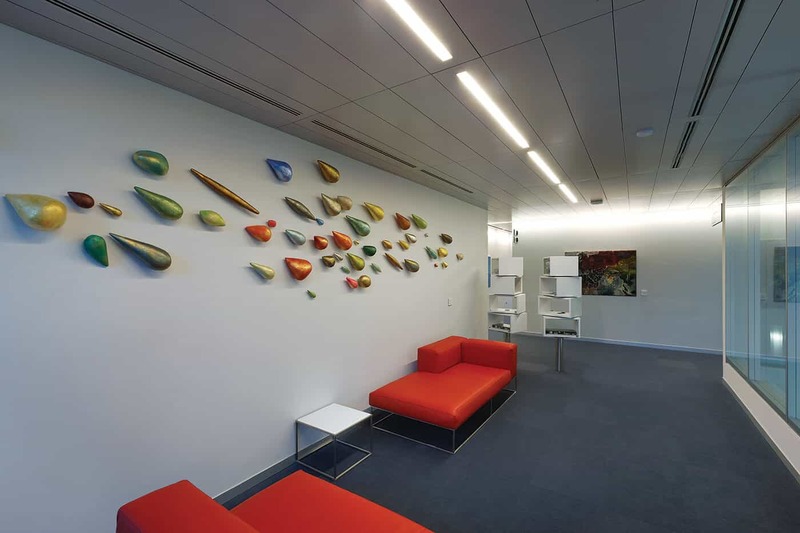 This forms a kind open landscape in which functional areas, interactive routes, and shared and individual spaces are defined. 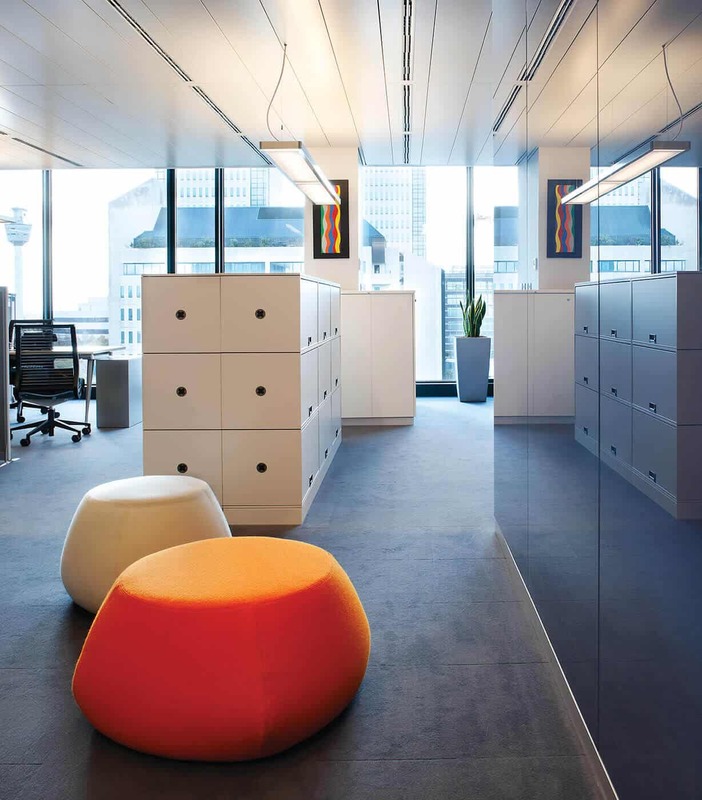 The furnishing is also not all classic office furniture, with major differences according to the type of work space. 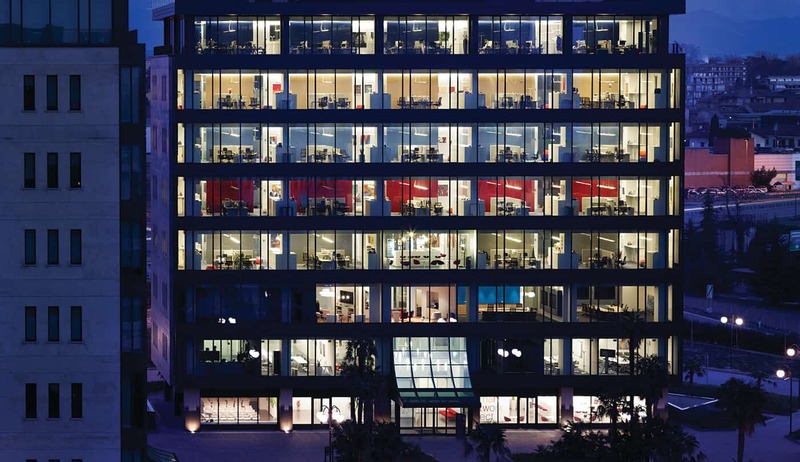 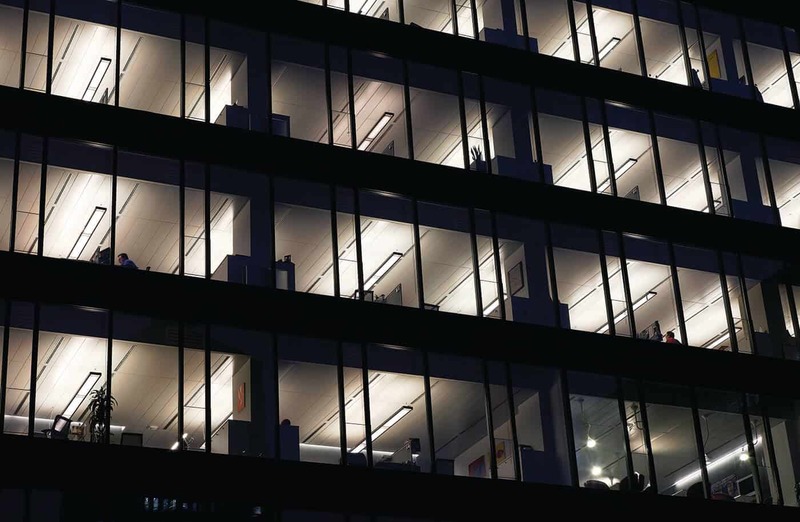 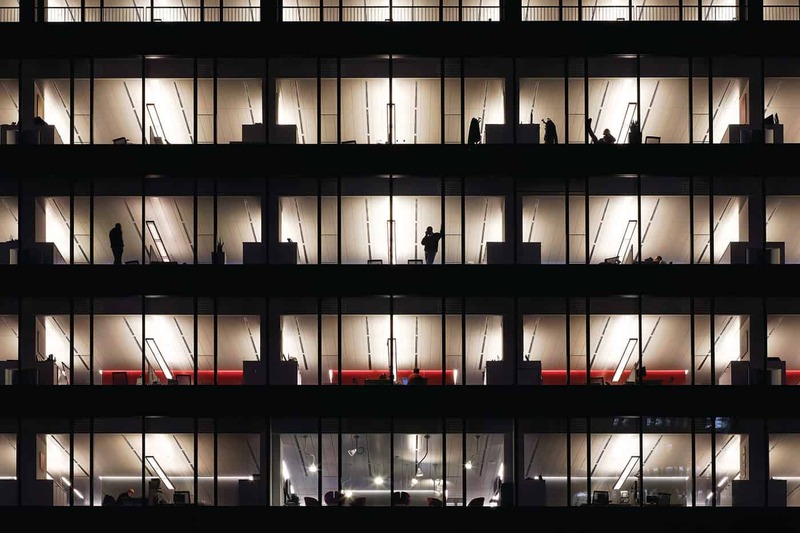 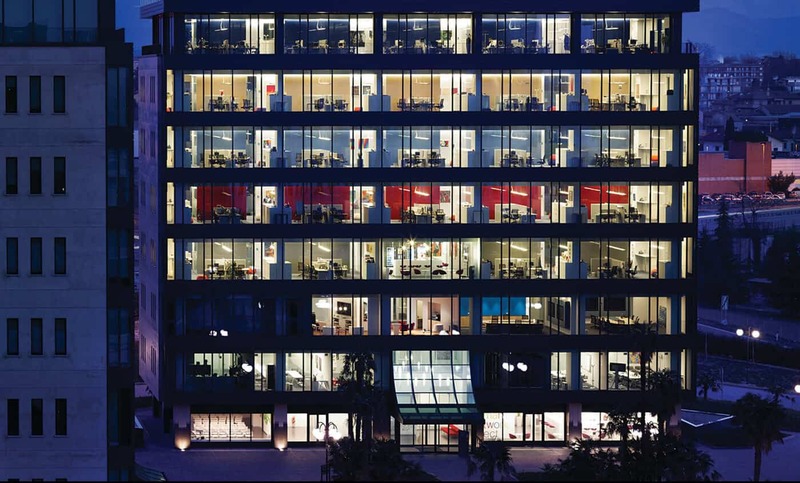 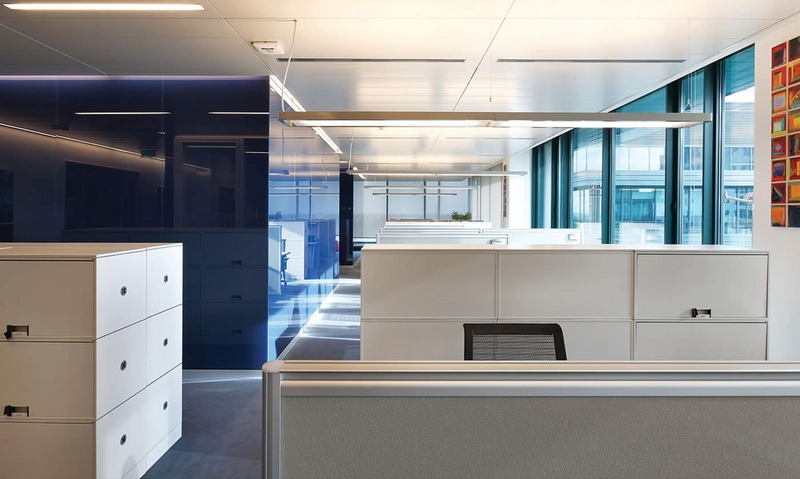 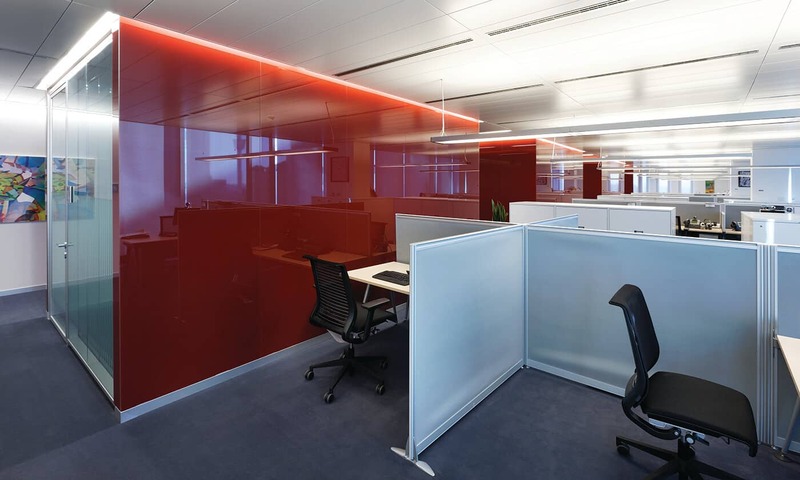 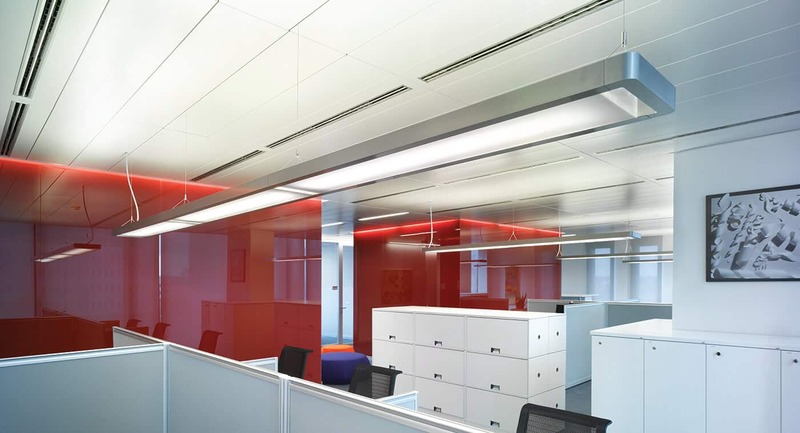 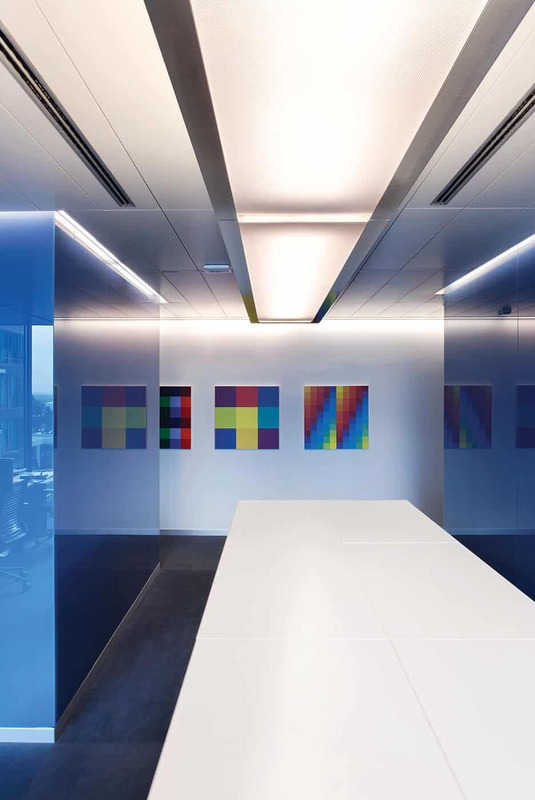 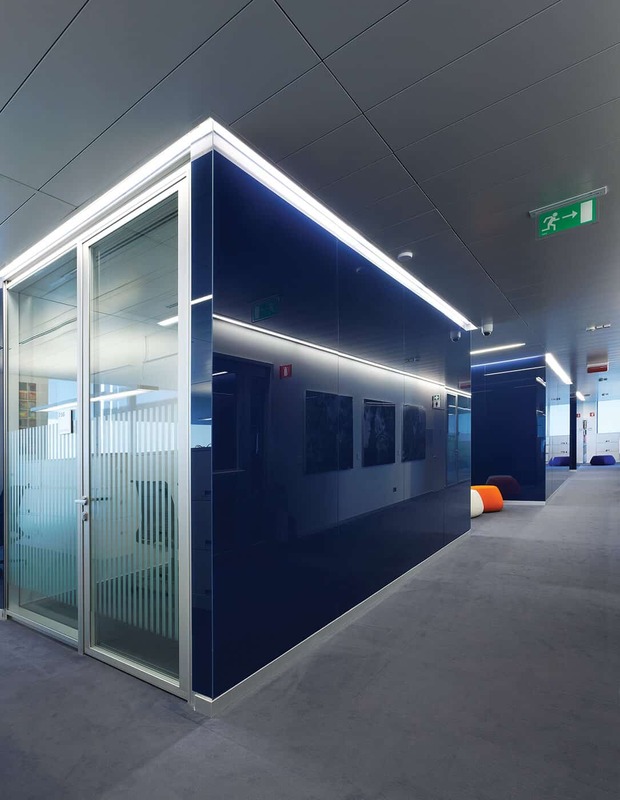 Red and blue, the corporate colors, and combinations based on them including beige, baby blue and gray, mark the cubic volumes built with glazed walls on each of the five operational floors. 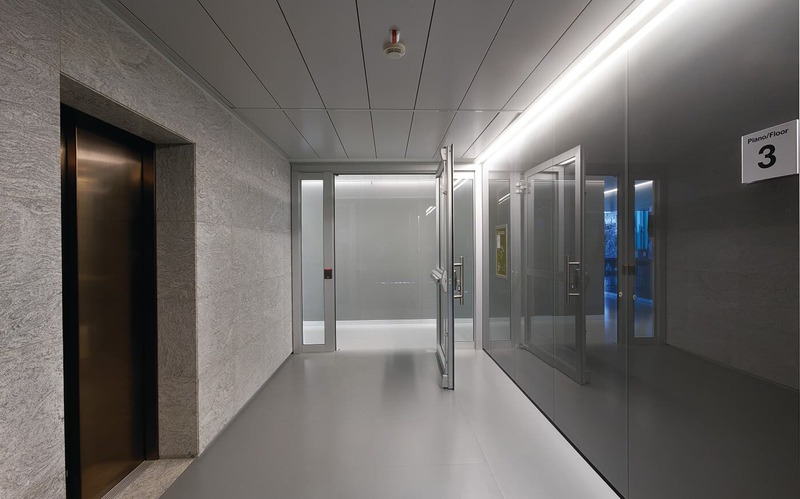 The choice served to make the building recognizably unique and the seven floors become a decoration that lets people see the organization of spaces within the building, which serves as a frame for the entire system. 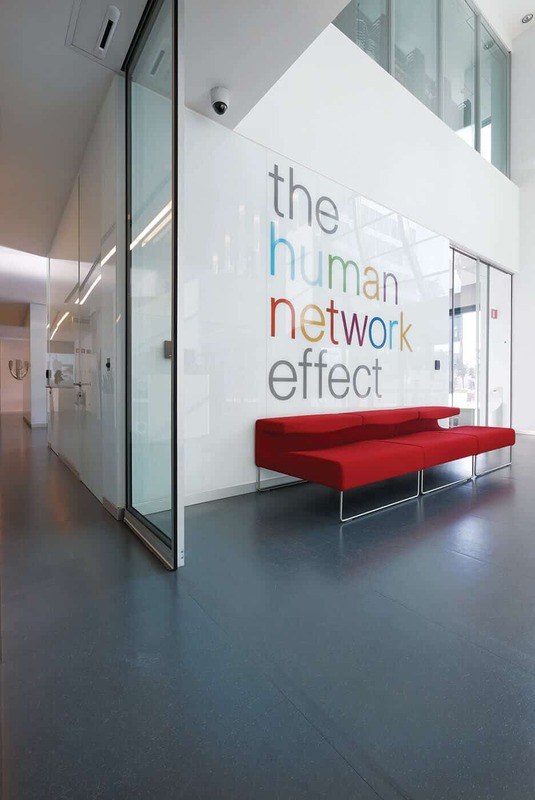 The project won the US Award 2009 Color@work category.